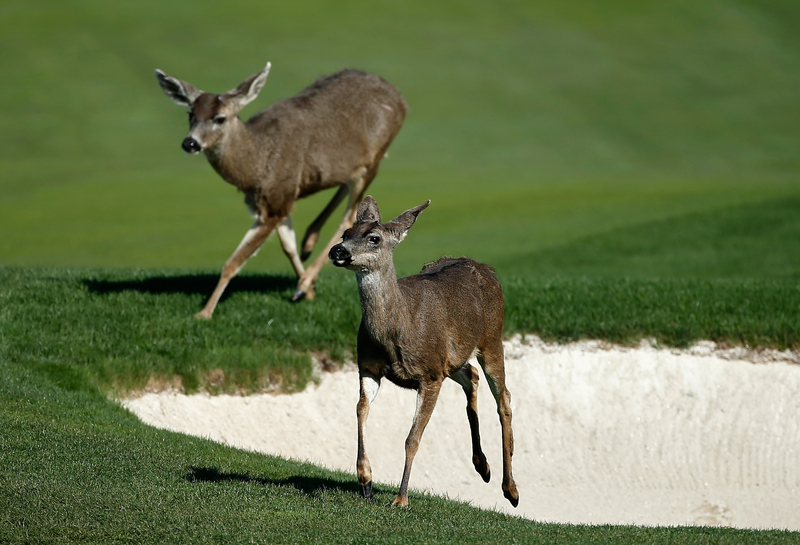 Deer take a closer look at the action during the final practice day at Monterey Peninsula. John Daly with his caddie and fiancée Anna Cladakis on the 17th hole during the first round of the AT&T Pebble Beach National pro am. 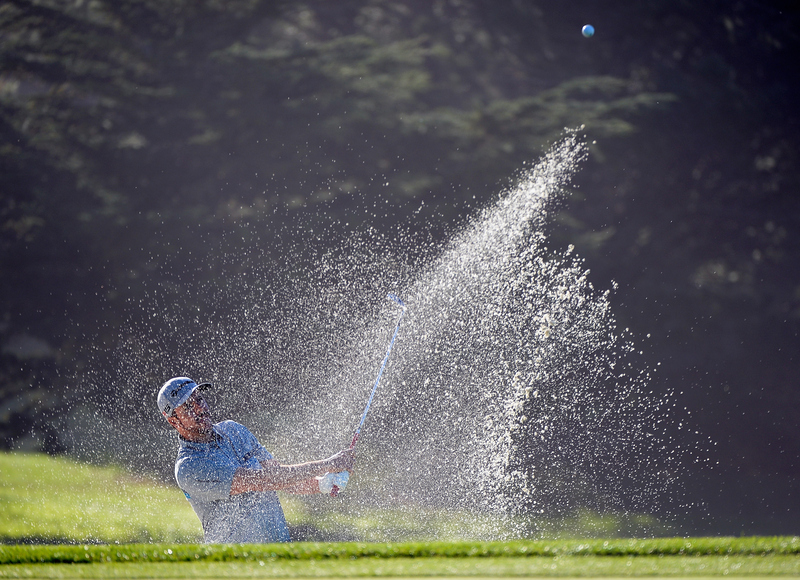 He made a bogey-free 7-under 65 and finished the opening day in third spot. Too true. Daly hasn’t won on tour since February 2004 and is ranked 839th in the world. 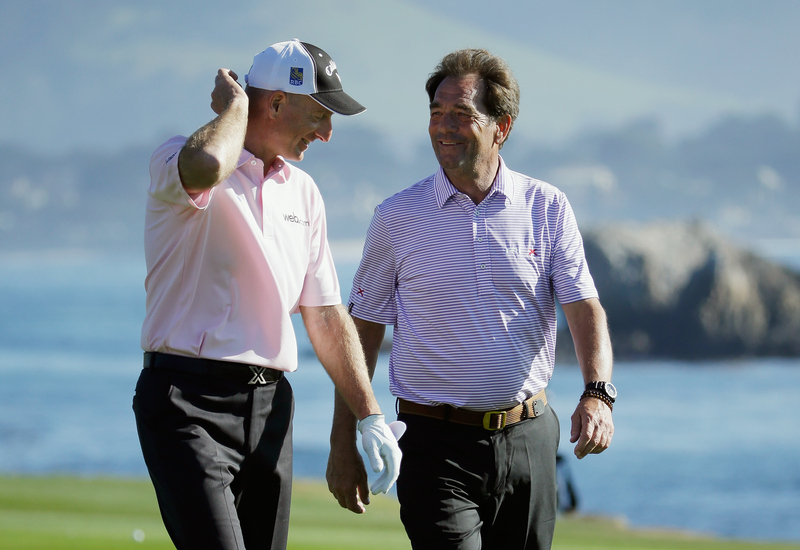 He hasn’t made the cut at the AT&T Pebble Beach pro-am since his rookie season in 1991. 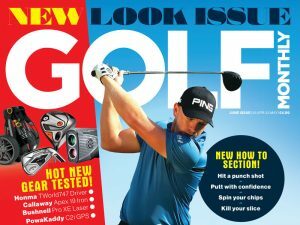 He didn’t this time despite his excellent 65 as he followed it up with a 72 and a 73. 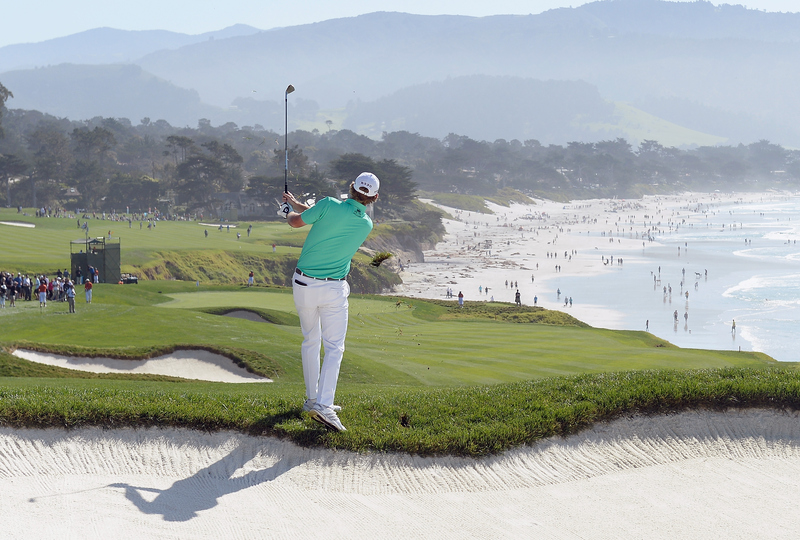 All 156 competitors play a round each of the three courses once before a 54-hole cut. 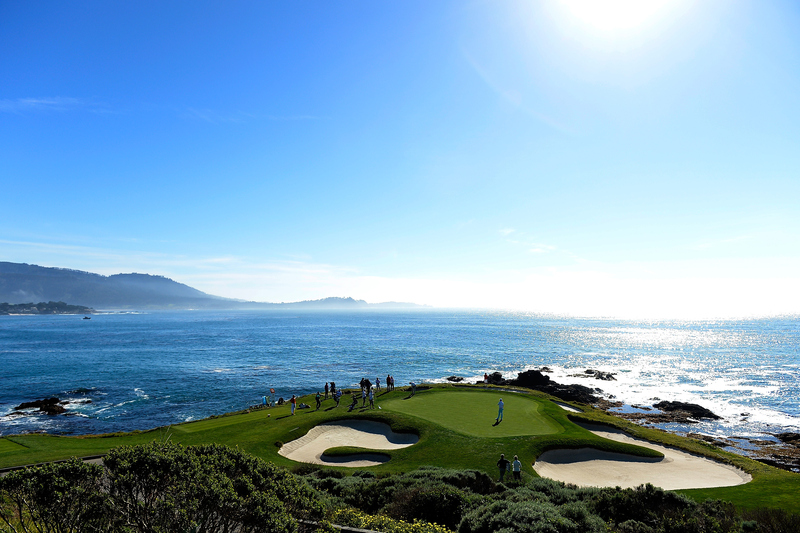 The top 60 and ties contest the final round over Pebble Beach. 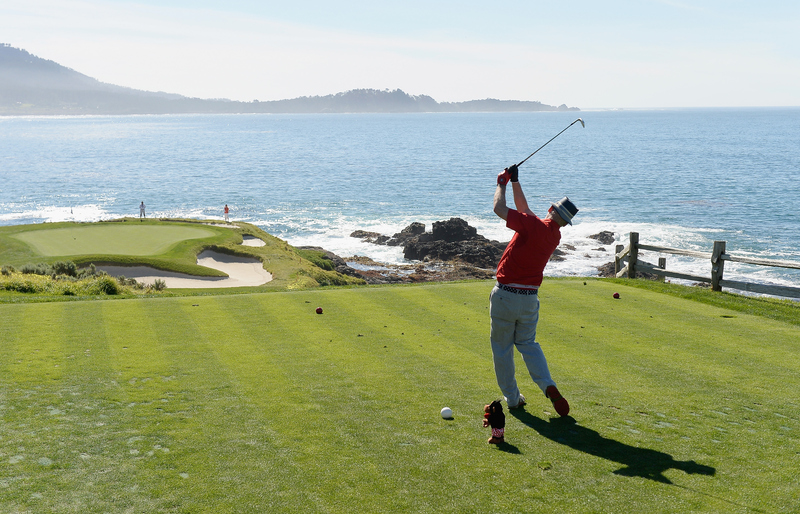 Oscar Fraustro on the first hole during his first round, at Spyglass Hill. 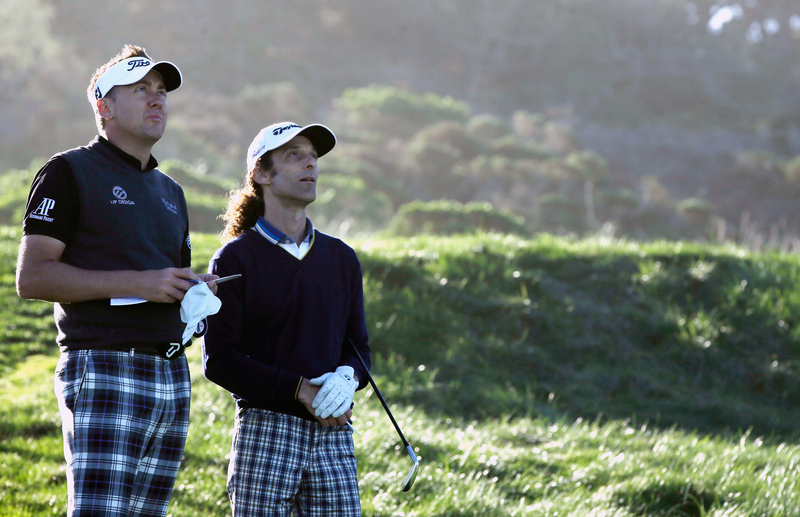 Ian Poulter and Kenny G check something out whilst waiting to play during the second round of the AT&T Pebble Beach National pro am at Spyglass Hill. Kenny G used to be a plus-handicapper and now plays off two. Instead it was Brandt Snedeker, seen here playing the 9th on the final day, who won the 2005 AT&T Pebble Beach National pro am.